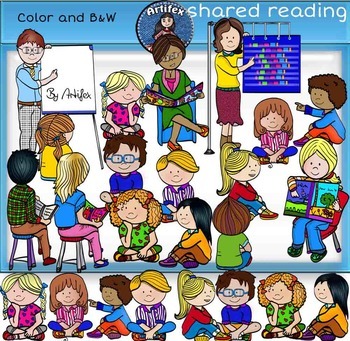 Shared reading clip art -Color and B&W- 38 items! ► 19 clip arts in color. ► 19 clip arts in black & white. All images are 300dpi, Png files. Just insert it into your document or word processing, and start creating!